Additionally, Pluto isn’t a planet at all, but the most important of our newly acquired universal knowledge is that our home planet is a living, breathing, self-regulating and prone to sickness, ill health and even death when compared to our planetary neighbours. Business as usual, until every drop of oil, is extracted, and burnt will cause resource wars and planetary fever (global heating) dooming our own children’s future. The quick deployment of low carbon technologies especially nuclear to conserve the last remaining oil reserves, also preventing catastrophic global heating. With our cleverly acquired technology, we have discovered that we are damaging our home, so we must use our technology to begin the healing process. James Lovelock, the independent scientist who first discovered the planet systems allow life to occur, is another prominent thinker who has prescribed a bleak future for the human species if it continues to grow in population without restriction and consume energy at a growing rate. He now advises people to “enjoy it while you can” because the outlook for future generations is, he believes, so bleak without urgent action. We all have a vested interest in preserving the quality of life for our kids. One day our kids will ask what we did when we first discovered global warming. One day I want to be able to say something. 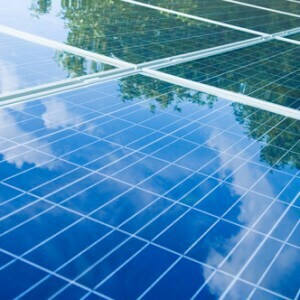 The next generation of solar panel technology has arrived. Earth’s temperature above average for the 34th consecutive year since 1880 when records began. This year of devastating floods, freak snowstorms, forest fires and heat waves tied for the warmest on record. Talk that the climate stopped warming in 2005, just lacks any credibility. Every year since 2000 was one of the 15 warmest since records began. The last year with below average temperatures happened in 1976. Another marker of global heating, Arctic Sea ice cover, is the third smallest since record-keeping began in 1979.